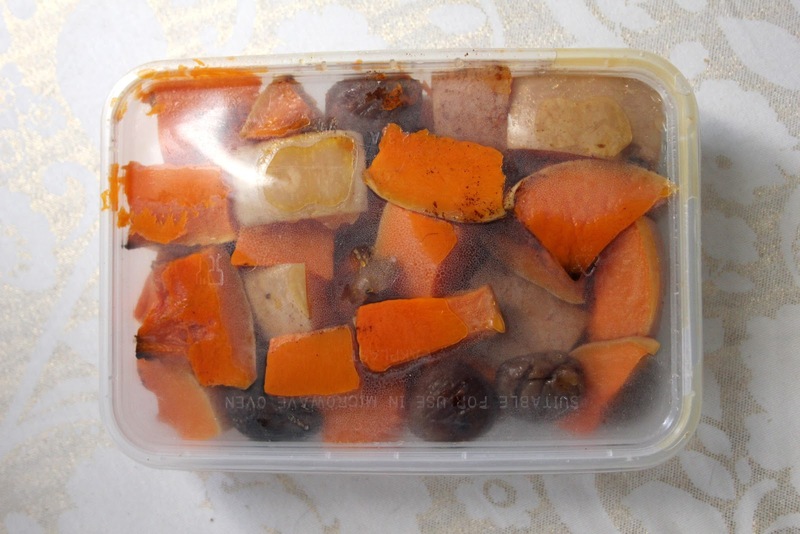 After Christmas dinner I was left with 4 lunch boxes full of roasted butternut squash and chestnuts that I’d made from this recipe. As much as I like this dish I could not stomach eating it at every meal for the next three days. 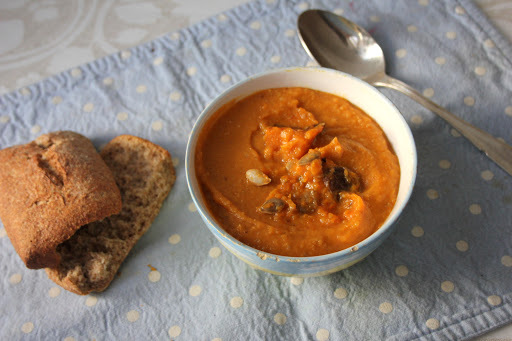 So I threw it all in the blender and ta-dah–a beautiful soup was born. Four of these after Christmas dinner. No leftovers were thrown away! I don’t have specific measurements for this recipe because I pretty much eyeballed the whole thing but I promise you it’s very easy to make. 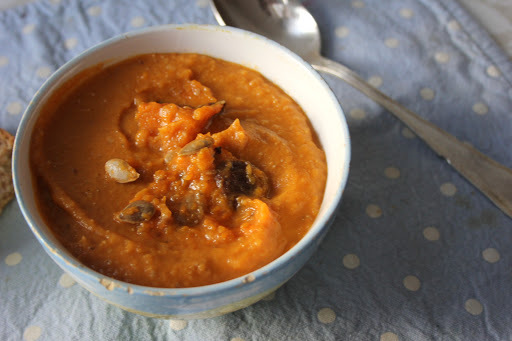 There are a good two servings of my Roasted Butternut Squash and Chestnuts in this soup so you can serve two people as a starter, or one person as a main if you are very hungry indeed. Place the leftovers in a small to medium pot on the stove and pour in just enough vegetable stock (approx. 400ml) to cover the vegetables. Simmer for 5 to ten minutes. Process the soup in a blender until the soup is smooth. Serve immediately with a crusty roll of bread. mmm…this looks delicious, I love soup and butternut is my favorite.